The computer is closing in on the TV set as the preferred access device for accessing local news content, news that the majority of respondents still find accurate and credible and transparent, the President’s attacks on the press notwithstanding. That is according to a new Pew Research Center survey of nearly 35,000 U.S. adults. 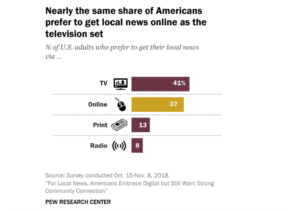 The survey found that while 41% still pick TV news as their preferred local news outlet, 37% said they would prefer accessing that local news online. And while online is gaining ground in the preference for where those U.S. adults get their news–or more accurately how they get that news–local TV continues to lead in frequency of use. 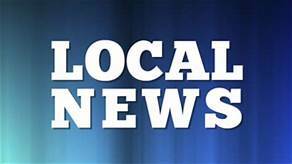 The survey found that 38% say they often get news from local TV stations, followed by 20% who identify local radio and 27% who say local daily newspapers. Online-only sources were at 23%, with only a fraction of that saying they often got it there.